It’s not often a general calls out another general. But that’s how bad things have gotten at AFRICOM. It’s rare to hear one top military commander publicly badmouth another, call attention to his faults, or simply point out his shortcomings. Despite a seemingly endless supply of debacles from strategic setbacks to quagmire conflicts since 9/11, the top brass rarely criticize each other or, even in retirement, utter a word about the failings of their predecessors or successors. Think of it as the camouflage wall of silence. You may loathe him. You may badmouth him behind closed doors. You may have secretly hoped for his career to implode. But publicly point out failures? That’s left to those further down the chain of command. And yet that’s effectively exactly what newly installed US Africa Command (AFRICOM) chief, General Thomas Waldhauser, did earlier this year in a statement to the Senate Arms Services Committee (SASC). It’s just that no one, almost certainly including Waldhauser himself, seemed to notice or recognize it for the criticism it was, including the people tasked with oversight of military operations and those in the media. Over these last years, the number of personnel, missions, dollars spent, and special ops training efforts as well as drone bases and other outposts on the continent have all multiplied. At the same time, incoming AFRICOM commanders have been publicly warning about the escalating perils and challenges from terror groups that menace the command’s area of operations. Almost no one, however–neither those senators nor the media–has raised pointed questions, no less demanded frank answers, about why such crises on the continent have so perfectly mirrored American military expansion. All that had changed between 2013 and 2016, it seemed, was the addition of one more significant threat. 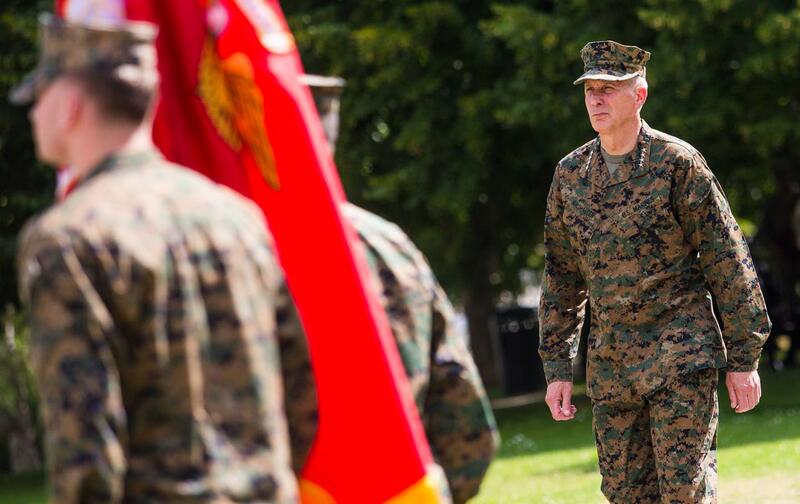 In the midst of Rodriguez’s 2016 victory lap (as he was concluding 40 years of military service), Waldhauser publicly drew attention to just how ineffective his run as AFRICOM chief had been. Some might call it unkind–a slap in the face for a decorated old soldier–but perhaps turnabout is fair play. After all, in 2013, Rodriguez did much the same to his predecessor, General Carter Ham, when he offered his warning about the challenges on the continent. In other words, over these last years, each incoming AFRICOM commander has offered a more dismal and dire assessment of the situation facing the US military than his predecessor. Ham drew attention to only one major terror threat, Rodriguez to three, and Waldhauser to four. That critic was, in fact, General David Rodriguez himself in an AFRICOM promotional video released on multiple social media platforms last month. It was posted on the very day that his command also touted its “more than 30 major exercises and more than 1,000 military to military engagements” between 2013 and 2015. It was hardly a surprise, however, that these two posts and the obvious conclusion to be drawn from them–just how little AFRICOM’S growing set of ambitious continent-wide activities mattered when it came to the spread of terror movements–went unattended and uncommented upon. National intelligence director James Clapper, who called the continent “a hothouse for the emergence of extremist and rebel groups” in 2014, spoke of the dangers posed by the Lord’s Resistance Army and al-Shabaab, as well as terror threats in Egypt, Libya, Mali, Nigeria, and Tunisia, and instability in the Democratic Republic of the Congo, the Republic of Congo, Burundi, the Central African Republic, and South Sudan before the Senate Armed Services Committee earlier this year. And then there’s Brigadier General Donald Bolduc who heads Special Operations Command Africa (SOCAFRICA), the most elite US troops on the continent. He painted a picture that was grimmer still. Last November, during a closed door presentation at the annual Special Operations Command Africa Commander’s Conference in Garmisch, Germany, the SOCAFRICA chief drew attention not just to the threats of al-Shabaab, Al Qaeda in the Islamic Maghreb, Boko Haram, ISIL, and the Lord’s Resistance Army, but also another “43 malign groups” operating in Africa, according to another set of documents obtained via the Freedom of Information Act. The growth of terror groups from the one named by Ham in 2010 to the 48 mentioned by Bolduc in 2015 is as remarkable as it has been unremarked upon, a record so bleak that it demands a congressional investigation that will, of course, never take place. US Africa Command boasts that it “neutralizes transnational threats” and “prevents and mitigates conflict,” while training local allies and proxies “in order to promote regional security, stability, and prosperity.” Rodriguez’s tenure was, however, marked by the very opposite: increasing numbers of lethal terror attacks across the continent including those in Burkina Faso, Burundi, Cameroon, Central African Republic, Chad, Côte d’Ivoire, Democratic Republic of the Congo, Ethiopia, Kenya, Mali, Niger, Nigeria, Somalia, South Sudan, and Tunisia. In fact, data from the National Consortium for the Study of Terrorism and Responses to Terrorism at the University of Maryland shows that attacks have spiked over the last decade, roughly coinciding with AFRICOM’s establishment. In 2007, just before it became an independent command, there were fewer than 400 such incidents annually in sub-Saharan Africa. Last year, the number reached nearly 2,000. US Africa Command failed to respond to multiple requests for an interview with Rodriguez, but if he follows in the footsteps of the marquee names among fellow retired four-stars of his generation, like David Petraeus and Stanley McChrystal, he’ll supplement his six-figure pension with one or more lucrative private sector posts. What comes next for AFRICOM will play out on the continent and in briefings before the Senate Armed Services Committee for years to come. If history is any guide, the number of terror groups on the continent will not decrease, the senators will fail to ask why this is so, and the media will follow their lead. During his final days in command, AFRICOM released several more short videos of Rodriguez holding forth on various issues. In one of the last of these, the old soldier praised “the whole team” for accomplishing “a tremendous amount over the last several years.” What exactly that was went unsaid, though it certainly wasn’t achieving AFRICOM’s mandate to “neutraliz[e] transnational threats.” But what Rodriguez said next made a lot of sense. He noted that AFRICOM wasn’t alone in it–whatever it was. Washington, DC, he said, had played a key role, too. In that, he couldn’t have been more on target. The increasingly bleak outlook in Africa can’t simply be laid at the feet of AFRICOM’s commanders. Again and again, they’ve been upfront about the deteriorating situation. Washington has just preferred to look the other way.